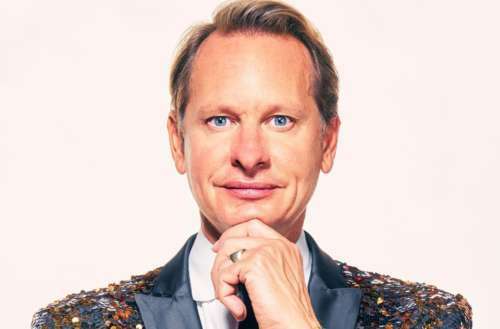 If ever there was a man qualified to host the Miss’d America pageant in Atlantic City, New Jersey, it’s Carson Kressley. 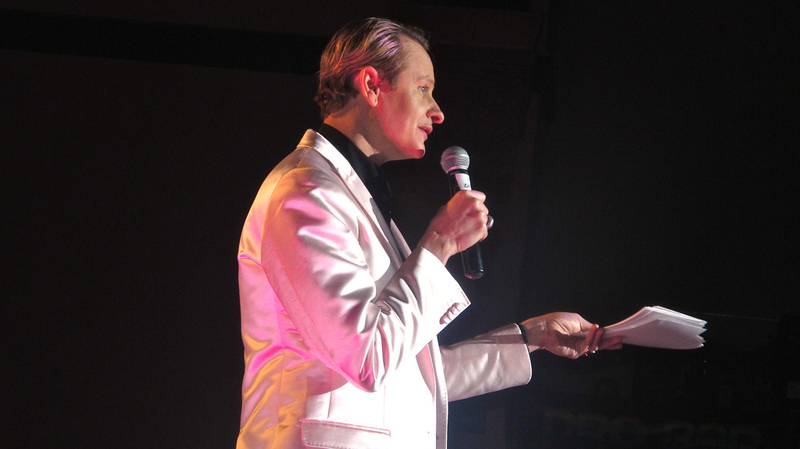 It’s an annual drag show for a good cause, raising money for LGBTQ organizations in the tri-state area, and this sharp-tongued (and even sharper-dressed) gentleman brings his own distinctive pedigree and brand of humor to the mic every year. 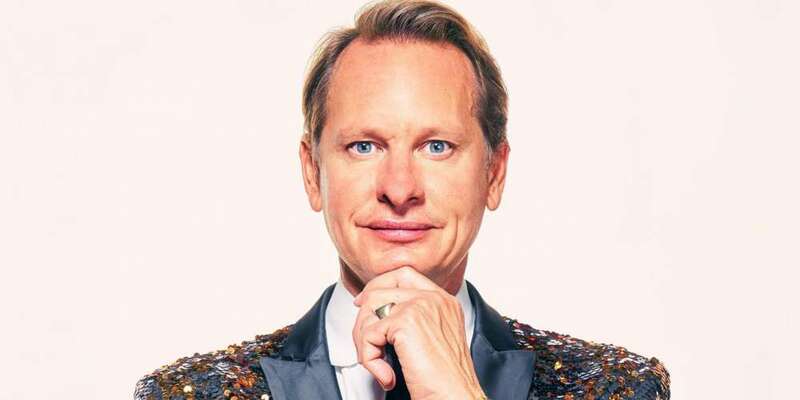 Hornet caught up with Carson Kressley in advance of next week’s event, and also as he’s finishing up the final touches on his upcoming show, Get a Room With Carson and Thom, which has him reuniting with Queer Eye O.G. brother Thom Filicia. 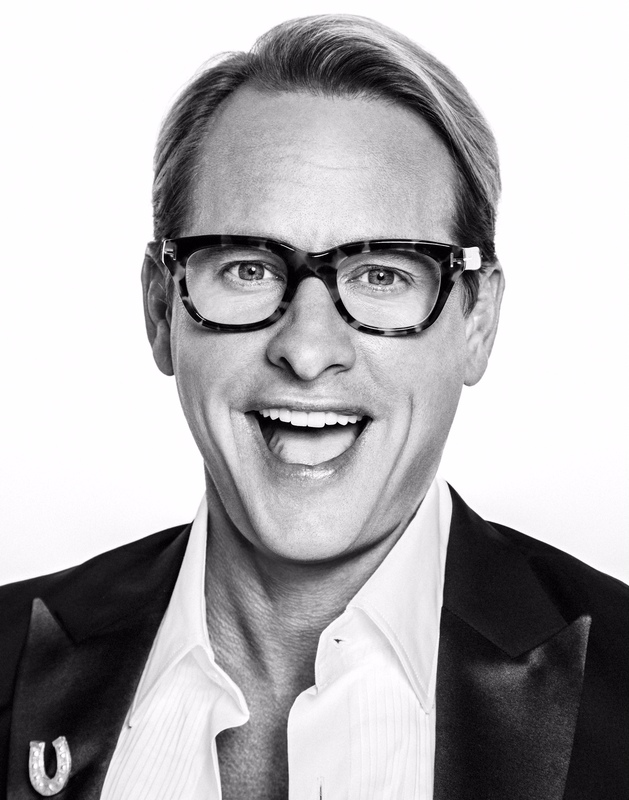 Together we chatted about drag, what a positive perspective has done for his lengthy career, and he even gives us a sneak peek into what we could see on RuPaul’s Drag Race Season 11. HORNET: RuPaul’s Drag Race just snatched four awards at the Creative Arts Emmys. What an amazing achievement for all of you! On Sept. 24 you’re back at the Borgata Hotel Casino & Spa as emcee of the Miss’d America pageant. What’s it like to head to Atlantic City for such a monumental weekend? I just love the entire weekend, and I really look forward to it all year long. I love the contestants, I love the crowd, I love mingling with everyone at the after-party and I love going to the Rainbow Room afterward for a cocktail. My friends and I make a weekend out of it, and it’s always just so much fun visiting Atlantic City. The Borgata is fabulous and always such a great host. We just really make it a reunion every year and have a blast. It is definitely how I like to do AC! The world of drag has become such a cornerstone of your career. I didn’t really plan on that, either. I think RuPaul asked me to join the judges panel six or seven years ago when we had done another show together. He asked me why I had not been on the panel, and I was not sure that anyone had ever really asked me before. He said, “Well, you have to come!” I came on for Season 7 of Drag Race, and they can’t get rid of me. I’ve been there ever since. You’re getting an up-close-and-personal view of what drag has morphed into today. Absolutely. It’s been so much fun watching drag this way. Growing up as a gay man in New York City, I have always loved drag. Places like Pyramid Club in the East Village, and Wigstock and of course Splash, doing drag for Halloween — drag has always been a part of my world. It has been so much fun seeing the show bring it to mainstream audiences and expose it to so many more millions of people. It is a wonderful art, and it has been kind of cloistered in gay clubs and bars for so long. I love that environment, but now people from all walks of life — men, women, kids — they all get to see it on RuPaul’s Drag Race and see the artistry, the talent, the beauty and the fashion. All of the things that I love. It has been a lot of fun. We’re all eagerly anticipating both RuPaul’s Drag Race Season 11 and All Stars 4. Without saying too much, what can you tell us about the upcoming seasons? 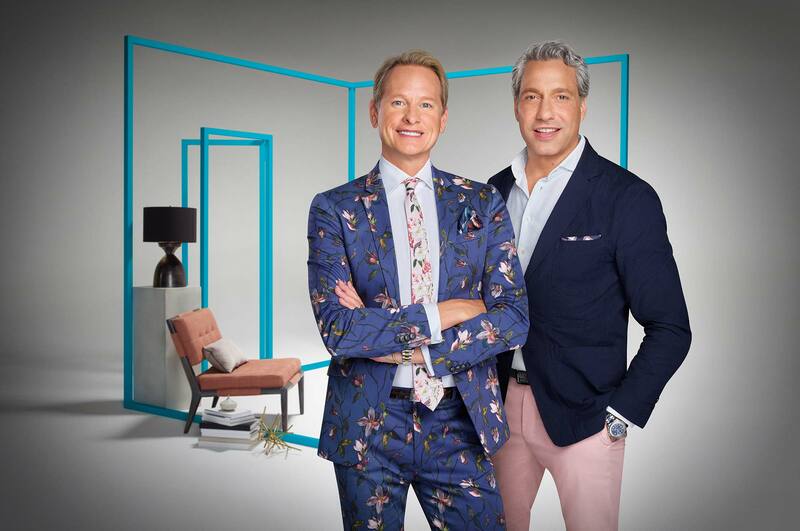 We’re also thrilled that you and Thom Filicia are back together on Bravo with your new show Get a Room With Carson and Thom (premiering Oct. 19). What was it like getting a bit of the original Queer Eye band back together after all this time? Thom and I were friends before we did Queer Eye, and we have remained really close since we finished that show. I went on to do a bunch of other shows, and Thom has gone on to build a really impressive interior design business. He has done homes for Iman, David Bowie, Jimmy Fallon, Tina Fey, some real Hollywood A-listers. He has done some amazing projects with some of the most amazing interiors in the world. I have always loved interior design, and I bought a farm in Pennsylvania and redid that myself. And before that I had redone my apartment in the city. I was kind of a novice interior decorator myself, so I really wanted to kind of learn more about that field. He and I got together and pitched a show to Bravo. We made a sizzle real and they liked it enough to make this show. It’s kinda independent of all the reboot craziness going on as well as the new Queer Eye. Seeing the two of you working in a different way all these years later will be such a treat. You know, I think Bravo just wanted to have a great design show. They’re doing a whole night on Friday with real estate and design shows. They’re going to have flipping shows, backyard landscaping shows, high-style interior design shows that really hopefully speak to their viewers. The timing was right, and here we are. We had a really fun time doing it. Both of us looked at each other at our wrap party and said, “We’ve got to do this again!” We are thrilled to be reunited and work on a really fun project, and we cannot wait for people to see it on Oct. 19. You’ve entered a number of different orbits during your career, from Dancing With the Stars to The Celebrity Apprentice to working for Ralph Lauren. 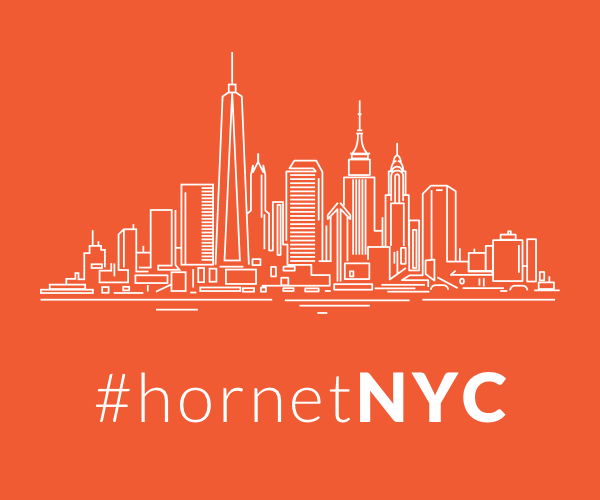 Do you always, as your Bravo colleague Bethenny Frankel says, like to come from “A Place of Yes”? Yes, I really believe in the philosophy of saying yes and figuring it out later. There are moments on Dancing With the Stars when I thought it would be fun, and then I got to rehearsal and I had zero rhythm and it was like, uh oh. It just teaches you to use your other skills and make it work. I feel like being able to work in television is such a pleasure and a privilege that I just want to do everything I can to keep it going. Sometimes that means saying yes to things that I may not be totally prepared for. The climate for the LGBTQ community can be distinctly heavy, especially now. Your upbeat attitude and positivity is always so infectious. Is it sometimes hard to stay positive during darker times like these? You know, that is just my own personal mindset. Growing up and seeing all of the progress that we have made — marriage equality and surviving the AIDS epidemic — I don’t think there is anything we cannot survive together as a community. That has always been where our strength lay, that we take of each other like a family that we selected on our own. It has helped us survive, and honey we will survive again!